Organised by Aviator PPG Florida, this year was the 4th WOW and proving ever more successful. Attracting visitors from all over the world. This one is on my to do list, flying in Florida USA, the weather looks perfect for PPG. The Archaeopteryx can be foot launched, tow launched from ground or behind a plane, even bungee launched!! plus it folds away into a trailer. the price? €73,000 for a complete carbon high tech open cockpit micro lift glider, price will vary according to exchange rates, developments, specification. Add €7000 for a fully enclosed cockpit, or €25000 for electric drive system. Aerial Video team http://www.aerial-footage.co.uk (Simon Westmore) helped survey Earths Giant Holes expedition by using first a tandem Parajet Volution Paramotor setup with a Synthesis Cabrio tandem glider piloted by Peter Baldwin (at 3m15s) and then later using one his newer toys the Octocopter equipped with camera and fpv setup (at 32m15s). Originally shown on National Geographic HD channel. Parabatix skyracers gets the Devin Supertramp treatment. Devin has made a name for himself travelling around the world showcasing many different sports and talents bringing the top skills of a few individuals to be seen by the world via youtube. This time it was the turn of the Parabatix Skyracers. 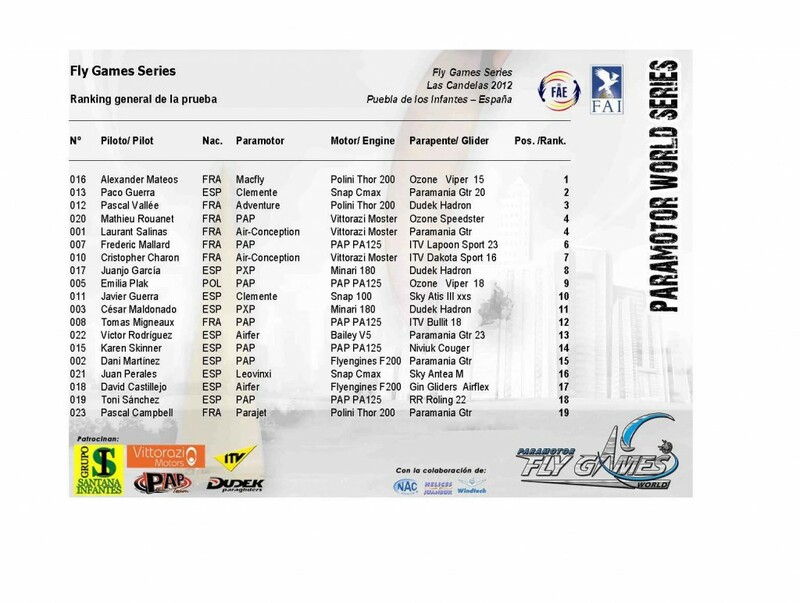 A flying competition dreamt up by Pascal from Paramania Powergliders, the manufacturer of the GTR featured in the video with many other wings and paramotors. Devin captures the control and freedom flying a paramotor brings plus the exciting colourful side of competition. Check out his video, click like and share to your facebook walls for all to see. If you are new to this and want to learn to fly, there are flying schools and a huge range of equipment available from all around the world. The latest movie from Pascal (http://www.Paramania.com) is an epic video filmed in the Everglades, Florida USA. Of a bunch of Paramotor pilots and Jet Ski riders going mad! Paramania Team pilots get their GTRs out and pull off some pretty cool flying stunts! Walking on water, on the Jet ski and generally doing some pretty cool and extreme stuff! Pascal takes his Parajet Thor200 & GTR for a blast in this beautiful location of soft sandy beaches and flat water. Chilled out video which really show through the Paramania attitude of flying paramotors for fun and enjoying every moment. Pascal Vallée (paramotor’s french champion) and Fabien Couderc (enduro’s french champion) unified their forces on this project to both promote their activities. Heres a fun video from Stefan. He got to fly his Paramania GTR with paragliders, hangliders and Speed wings all in one day with one wing.